Is the investment that you made on your SEO bringing in traffic? Has it become successful in luring the customers to come back for more? 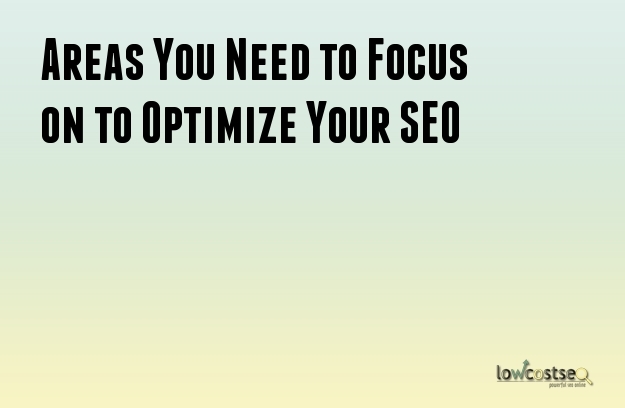 If you are on a look out to optimize the investment in SEO of the website for the rest of the year, ensure that you focus on the following areas. In the year 2016 Google changed its core algorithm and created confusion because of the sudden ranking changes. This makes it clear that the changes in the algorithm are something consistent and thus, this will affect the ranking of the website. Webmasters who are trying to crack the code of the search engines will never understand the mysteries that surround it and thereby, will not be able to keep up with the updates. If you want your website not to get affected by the changes in the algorithm of the search engines then you have to stay on top of these continuous changes that occur, in order to keep your optimization rate strong. If you are successful in your investment in SEO, it will allow you to deliver a strong brand image. Companies that spend money, time, and also resources to create a strong perception of the business will be able to draw traffic that will increase their sales. You can do this by delivering, helpful, strong, and valuable user experience on the website. Attract audience by providing them with some amazing services and products. You should also offer them content that are fresh and easy to be read. The blogs that you create should be informative and should be able to grab the attention of the readers. The navigation system inside your site should make the use experience a favorable one. When the users find your brand to be dynamic and exciting and if they have a positing experience while visiting your website, the perception of your business will naturally grow and this result in high conversations and greater amount of money in your pocket. The sale conversation rate is around 2% while the conversation rate of the lead generation is primarily over 10%, and this is a much higher rate. The average conversation rate of B2B landing pages is 13.3% and B2C is 9.9%. This means that you would have to concentrate on A/B testing of the conversation page to bring about a growth in your website. If A/B testing is something new for you then try and test images and titles on the conversation pages. If you want your users to easily navigate around the site and find the things that they are looking for very quickly then spend some more on your business and take the help of a site searching tool. This is beneficial for a website by enabling the users to find the things that they want typing some key terms. This will then direct the user to the thing that they require and also give you a valuable insight as what the customers are looking for.